As I’m doing my new pattern Katie up in white and kelly green I decided to make changes to row 5. 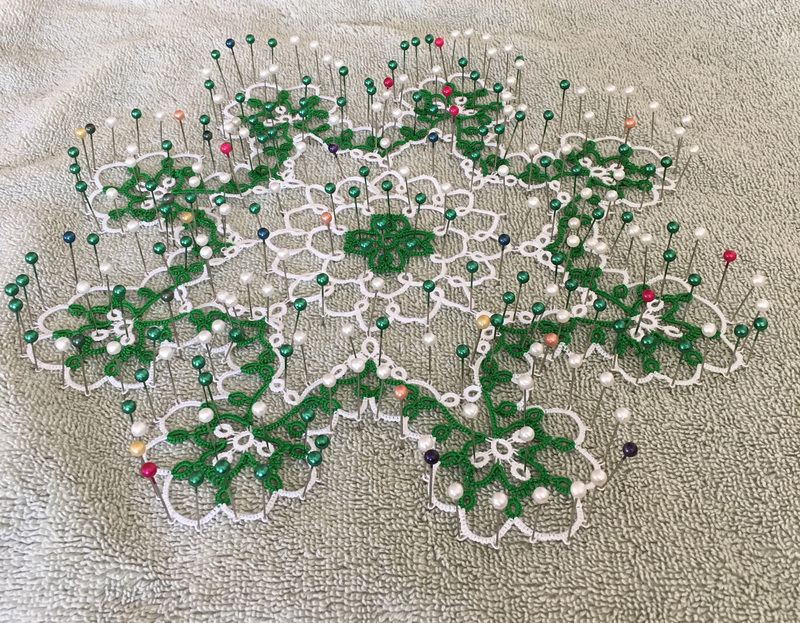 Just to be sure it is working out, I decided to wash and pin out the doily. I always pin (and usually starch) my doilies once they are finished, but I decided to stop and pin part way through on this one! Which works out well because I only have this many pins! Now to adjust rows 6 and 7 and finish it up!